I enjoyed listening to the book very much. This book demonstrates the ability of Jesus to unite people from different backgrounds into a loving, caring group capable of coming together to accomplish a common purpose. The book starts out somewhat slowly and did not hold my attention strongly as it progressed through events which provided background for the central characters. As the solution to the purpose of the story began to become more evident, the book became more and more interesting. The love interest in the story was somewhat disappointing as the book neared the end especially given some very colorful descriptions of how Muslim women “capture” their men without the men knowing what is going on until it is too late. I laughed out loud as this process was described by the Iraqi men. The story slowly develops with few unexpected turns. The story line would have been more engaging had there been more unexpected turns. The overall theme of God’s ability to bring men and women of many faiths to a true understanding of His Son Jesus was very heartwarming and gives one hope that those coming from completely different religious backgrounds may one day come to the common knowledge that Jesus was sacrificed for all of mankind. 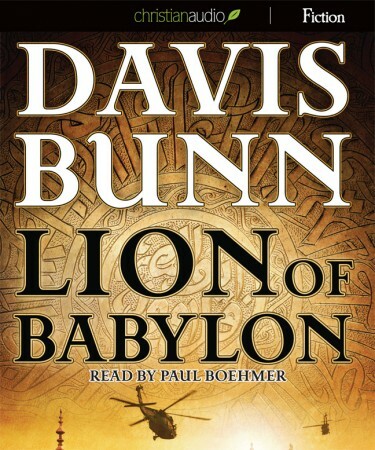 I received this audio book free from http://christianaudio.com Reviewers Program in exchange for posting a review. I was not required to write a positive review. The opinions I have expressed are my own.